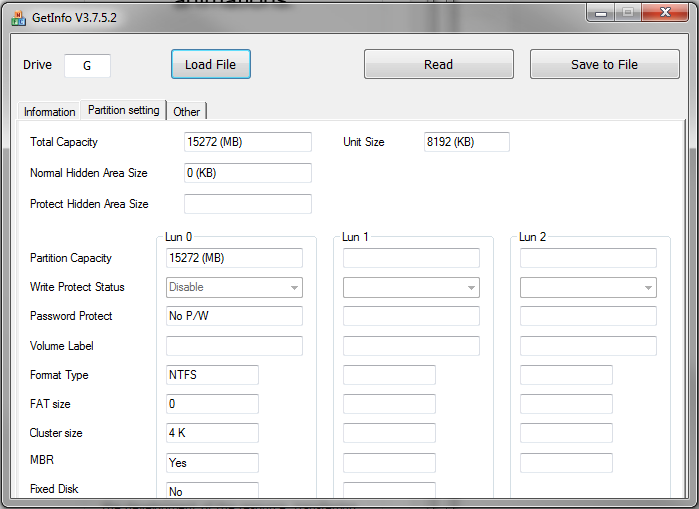 Since I deployed my HP Proliant Microserver, I had been running ESX from a USB flash drive. Now that Windows 8 Beta is available, I wanted to test out some of the new Hyper-V features in my home lab. All the talk about Windows To Go had me thinking it would be a good test to run Windows 8 Hyper-V server from a USB flash drive. After all, deploying Microsoft Hyper-V Server 2008 R2 on a USB Flash Drive was already supported. I found a good tutorial about running Windows 8 Developer Preview from a UFD which outlines the process. If you’ve used WAIK before, then you’re familiar with the process which basically involves creating the partitions on disk, and then applying a WIM file to the partition. This process works great for Consumer edition on many UFD’s, however, Windows To Go is not supported with server edition. That doesn’t mean Windows 8 Server cannot be installed to a UFD though – it just means that the same rules apply as 2008 R2. There’s a couple of limitations that come with Removable Disks in Windows though. 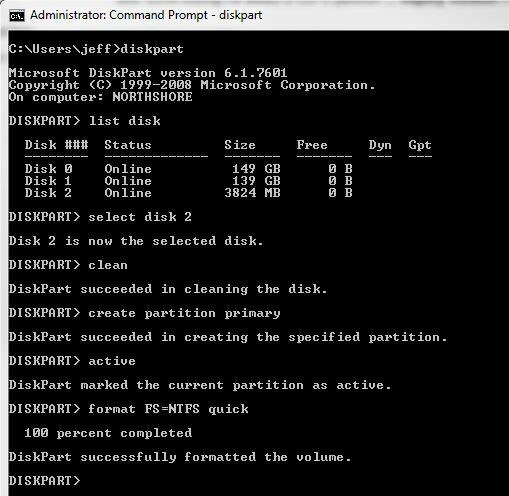 Specifically, you can’t create multiple partitions on them (even if you do via other partitioning methods, Windows will only show you the first partition), and you can’t run Windows directly from them. So, in order to deploy Windows 8 server to a UFD, the RMB needs to be set to 0. You will find all of the necessary information from the GetInfo screen for the Controller, FC1-FC2 settings, the VID and PID’s, etc. Once you have your settings in place, hit save to write them to the MP.ini file. 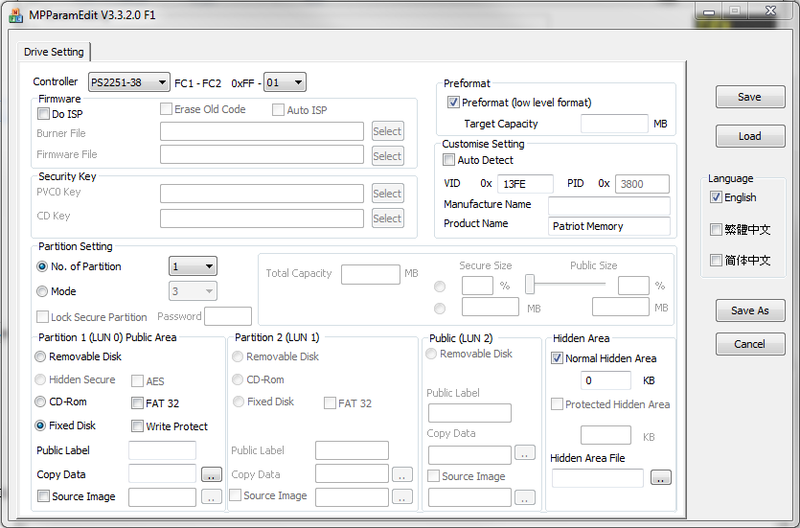 From there, you can use the MPALL F1 utility to write the configuration to the UFD. When performing this procedure, ensure that ONLY the UFD you want to program is connected. Insert the USB flash drive, click the Update button which will populate the various boxes with ANY UFD found that has a Phison controller. Once it’s detected, click Start to program. I’m not sure where the “MAPPING” setting comes from, but when I created my MP.INI and QC.INI files using the ParamEditor utilities, the MPALL utilities would not find my UFD. 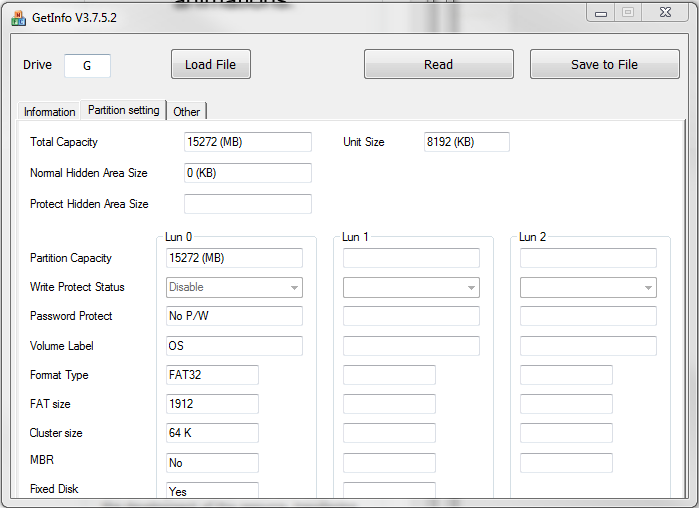 I had to add MAPPING=0 to the Configuration section of both files. 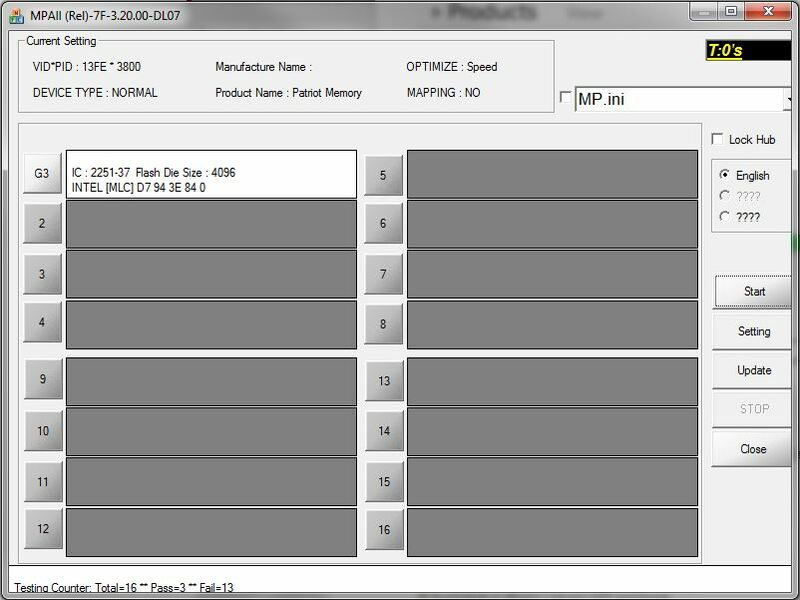 The Inquiry Version of my UFD was PMAP to start and though I had it set in MP.INI, the MPALL F1 utility changed to to DL07. Because of this, my QC.ini had to have Inquiry Version set to DL07 in to avoid a Incorrect Inquiry Version error message. This entry was posted in Hardware, Windows and tagged UFD, USB Flash Drive, Windows 8, Windows To Go. Bookmark the permalink. this helped me out a lot since i got a new usb flash drive only to find out that it is “not compatible” with portable workspaces. 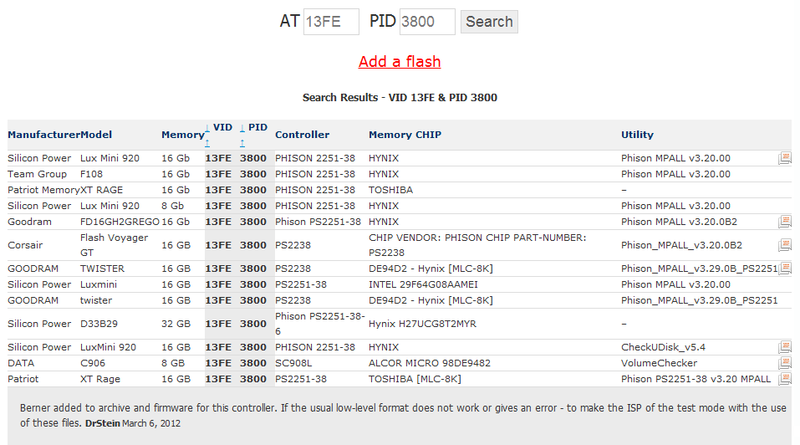 unfortunately my flash drive has a phison 2551-67, which isnt supported by any verseion of MPALL i can find. Do you how to format back to Removable Disk? To set it back, you should just need to update your INI file for the F2 configuration and select “Removable Disk” instead of fixed disk. This page has helped me in the past, but now I have a new USB drive with Phison 2251-67 Controller, which I can not find. Any have ideas? 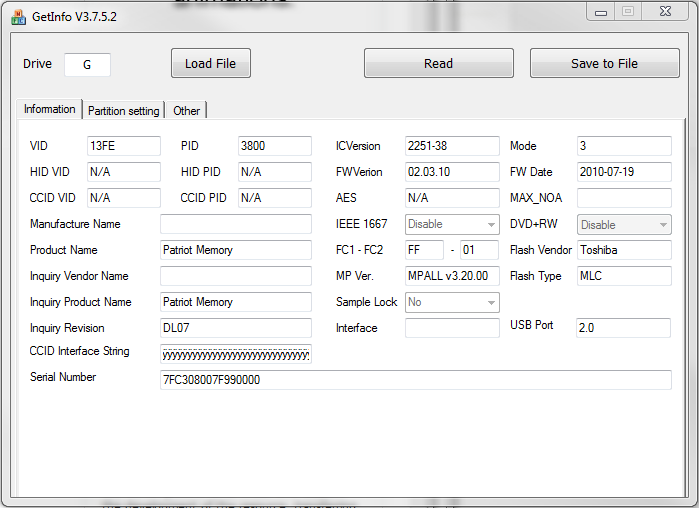 You need version 3.6 of MPAll to work with the 2251-67 controller. I have a Phison IC 2251-03 in a patriot Supersonic XT Rage 32GB USB 3.0 drive that I’d like to set Fixed. Any ideas on the MPALL version? I couldn’t find one that had that particular type. I’m not certain the specific version, but you can try using the latest available – they should be backwards compat. You’ll need at least Phison MPALL v3.62.00. If there’s something like a “IDBLK file Version check error”, try to add the dll’s version number to the settings. I have a Toshiba Suzaku pendrive with Phison 2251-03 controller that stopped working. MPAII couldn’t find my device until I read this”I had to add MAPPING=0 to the Configuration section of both files.”. Toshiba totally screwed it up. 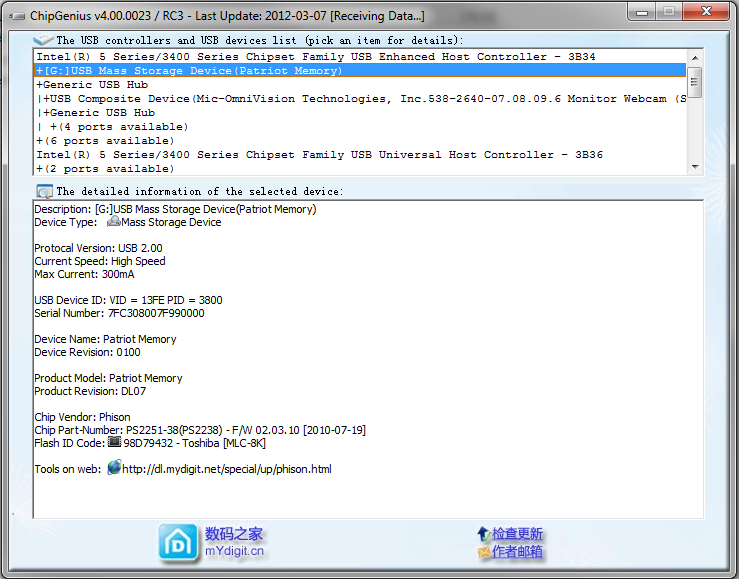 It’s unacceptable to lose access to pendrive’s data because of some programming error in firmware. This just killed my good old 8GB Patriot! Same controller as in example.But using these tools ist just not as easy as this page makes it look! there’s a hugelack on information for hundreds ofparameters,, and the tools themselves are more than obscure to use! I tried following the information as close as possible, but it didn’t help. Yo need five times more information than the GetIngo tools deliversand this manual doesn’t give this information, too. My stick is still recognized as USB device, but neither the get info, nor the flashing tools will find it anymore when inserted!